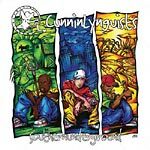 One of the most consistent independent Hip Hop groups of the decade, Kentucky trio CunninLynguists re-release their critically acclaimed sophomore album SouthernUnderground as a two disc deluxe edition. The group, made up of Deacon The Villain, Natti and Kno, aim to make music that reminds listeners why they like Hip Hop in the first place. Backed with quality beats and rhymes, gritty sounds, witty lyrics and low ends that jump out the trunk like Rajon Rondo, the 'Lynguists recapture the soul in southern Hip Hop, with what Spin Magazine calls ''Outkast's tragicomic poignancy''. SouthernUnderground, originally released independently in 2003, includes features from Masta Ace, Supastition and Tonedeff. Additional production from RJD2 and Domingo, goes hand-in-hand with beats from the main producer Kno, who was once described as ''one of the top loop-miners east of the Mississippi'' by URB Magazine. Disc 2 contains sixteen previously unreleased tracks that are made up of three remixes, twelve instrumentals and one song taken from a 2002 vinyl only compilation called Boom Bap For Neanderthals. The SouthernUnderground deluxe edition comes out a month before the groups newest effort ''Strange Journey Volume 2''. Please note: Due to the weight and size of this box set there will be an additional shipping charge for most orders to be shipped outside of North America. We will contact you for approval of any extra charges before shipping.